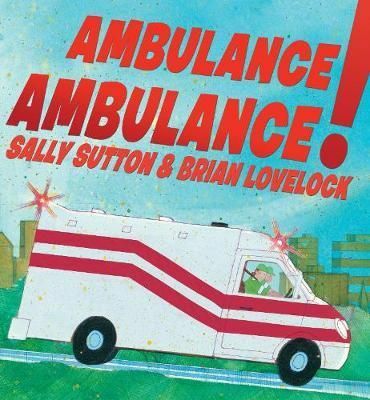 This affirming children’s picture book celebrates the social value of ambulances and hospitals as a public good. It affirms a society that cares for those who are vulnerable, injured and in need of help. It assures children that, in an emergency, help is on its way. It celebrates the wonderful teamwork of ambulance drivers, police, paramedics, nurses and other health workers. Perhaps it even asks teachers to reflect on just how important unions are to ensure good and safe working conditions that, in turn, benefit the public? This book is an important reminder of how we must treasure our public institutions and the people who work in them. The cravings of unbridled ambition drive Macbeth and Lady Macbeth to murder, which then unleashes madness, further violence and eventual civil war. The story is about how easily a society can be transformed into violence with horrific human rights abuses when leaders become driven by ruthless ambition and power. This cartoon book makes an excellent resource for students studying Macbeth. Its strong and powerful graphic images support the poetic and powerful words of Shakespeare. The book highlights how, in the past 20 years or so, Australia has been transformed from one of the most equal societies in the developed world to one of the most unequal. Although it focuses on Queensland politics, it is very relevant to NSW politics. It explains the nuts and bolts of neoliberalism and how it works as a “game of mates”, with agendas of privatisation, outsourcing, public-private partnerships and selling off public assets. Corporate Australia is described by the persona “James” who effectively steals money from the persona “Bruce”, the average worker. The James’ of the world cleverly and seductively spin myths that persuade the Bruce’s that they share the same interests. In fact, their interests are diametrically opposed. The James’ cunningly hide secret deals that ensure Bruce’s wealth are transferred to them. The James’ demand lower taxes or no taxes at all. They manipulate financial accounts and use confidential contracts that turn government into a money-making venture for themselves. They unashamedly use the threat of litigation to protect their economic interests. The book describes how the Australian economy has been captured by this insidious game of mates. The ingratiation and revolving doors between corporations and government bureaucrats and politicians is greased with the money from political donations. The appendix lists those politicians and bureaucrats, who once leaving office, have been “looked after” by the corporate world with new jobs on huge salaries. It explains how corporations and government elites are now one and the same. So corrosive has Australia’s political life become that the authors make comparisons with the mafia, triads and yakuza. The game of mates includes the interests of banks, superannuation industry, mining industry, transport industry and private-school market. The chapters on the property industry reveal just how lucrative rezonings are for developers. It is disappointing that there is no chapter on how the game of mates has worked to tear apart TAFE for the benefit of private providers. So many “games” still need to be written about. All three books are all available from Federation Library. A student: identifies and describes people, events, places and sites in the local community over time. Small group/pair discussion: What happened to injured people before the invention of the ambulance? What has changed over time to enable the creation of ambulances and hospital services? What challenges face ambulance workers today? Suggestions for learning activities: Role-play making a phone call to call an ambulance to an emergency. Act out an emergency in the past, in the present, in the future. Have a union meeting where ambulance drivers raise concerns about their working conditions and why this matters. A student: responds to and composes increasingly sophisticated and sustained texts for understanding, interpretation, critical analysis, imaginative expression and pleasure. Small group/pair discussion: How are people influenced by horoscopes, advertising and/or fortune tellers? How would you react, if you believed a fortune teller saying you were going to become the most powerful person in the world? How is the character Macbeth similar to the rise of modern and ruthless dictators? Suggestions for learning activities: Act out a scene from the play Macbeth. Write a eulogy for the character Macbeth. How is the character Macbeth relevant to modern politics?